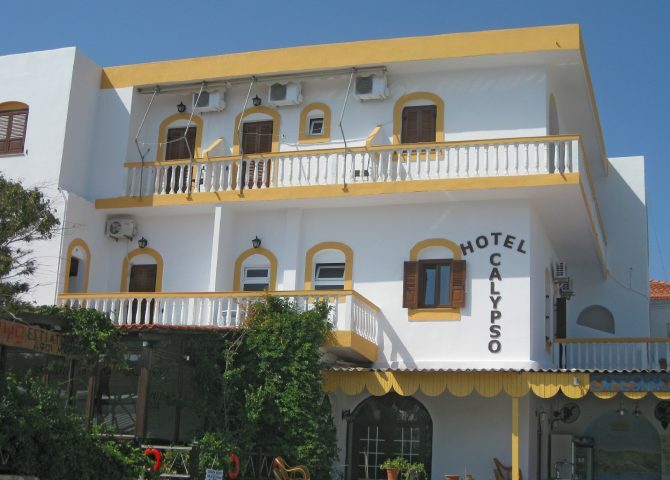 Hotel Calypso is a family owned hotel established by the Mangos brothers and consists of 10 studios, cafeteria and restaurant with nearby super market and his/her hair dressing salon. The hotel is situated just 10 meters from the picturesque small harbor and 150 meters from the main ferry harbor of Lipsi village on the beautiful island of the same name, one of the Dodecanese group in the gleaming Aegean sea. All rooms enjoy views of the sea and overlook the village park. 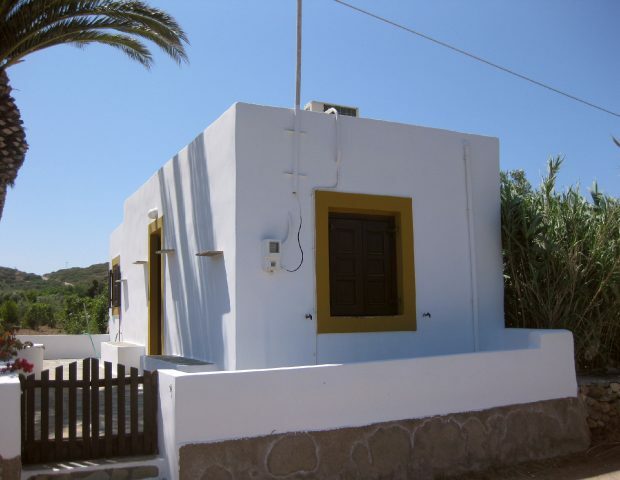 They are equipped with self catering facilities private bathrooms and air conditioning. Daily cleaning and linen service. Transport from and to the ferry terminal can be arranged for clients. These five apartments are owned by Irene Mangos. They are located 150m from the village of Lipsi. The main harbor is about 500m away. 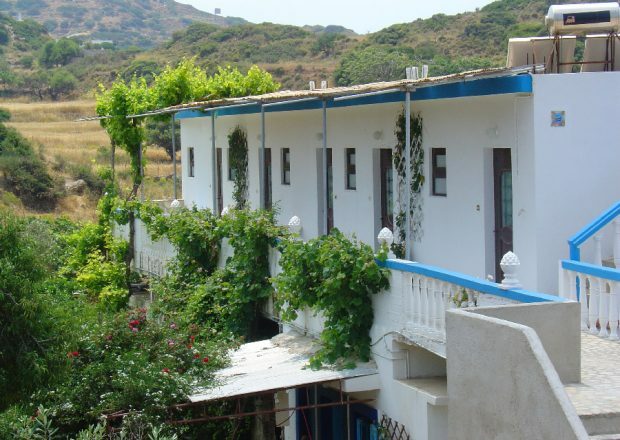 Set in a peaceful garden, they enjoy country-side and sea views from the bedroom balconies. These apartments have separate lounge/dining and bedroom, they include kitchen facilities, private bathroom and air conditioning. Camp beds are available for children. Daily cleaning and linen service. Transport from and to the ferry terminal can be arranged for clients. This apartment is owned by Lefteris Mangos. This is located 500m from the village of Lipsi. The main harbor is about 700m away. 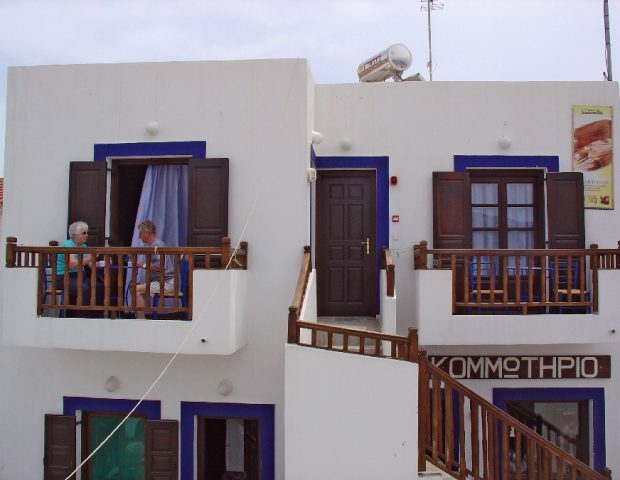 Set in a peaceful garden, they enjoy country-side and sea view from the balconies. This apartment have separate kitchen, lounge , bedroom, its included with kitchen facilities ,air conditioning and tv. Camp beds are available for children. Daily cleaning and linen service. Transport from and to the ferry terminal can be arranged for clients. These three studios are owned by Efharis and Irene Mangos. They are located in the heart of the village of Lipsi.The main harbor is about 250m away while the local boat harbor is only 50m downhill. Panoramic views of the harbor and the sea beyond can be enjoyed from the balconys.These studios include kitchen facilities, private bathroom and air conditioning. Daily cleaning and linen service. Transport from and to the ferry terminal can be arranged for clients. Seaside traditional villages with crystal waters and lush vegetation. Experience the most romantic sunsets in Lipsi Island! There are several small churches and monasteries scattered around the island. So many are they, in fact, that the saying according to which there is one church for each family in Lipsi might just as well be justified.